Bernhard Rothfos | Unser Selbstverständnis. WHERE WE COME FROM, WHAT WE STAND FOR. A history rich in tradition. Initiated by Bernhard Rothfos. In 1922, businessman Bernhard Rothfos founded our company. Based in Hamburg since 1925, we have always operated in a large number of coffee markets worldwide. We are very proud of our long history of more than 90 years and its rich heritage. Since 1988, we have been a member of Hamburg-based Neumann Kaffee Gruppe – the world’s leading green coffee service group and thereby also part of a large partner network, comprising 49 companies in 27 countries. It is no coincidence that we settled in Hamburg. – we were originally based in the heart of the historical “Speicherstadt”, which has been a UNESCO World Cultural Heritage site since 2015. Since 2010 we are working only a few steps away from there in the blooming, modern HafenCity. Even today, Hamburg is still known as Germany’s “gateway to the world”. And there’s more: the Hanseatic merchant is said to be a truly honorable man. Bernhard Rothfos himself always represented this character trait. His mission statement was always: “We sell confidence and our asset is relationships”. Market mechanisms have developed immensely in the course of our business activities in the green coffee world – and we have developed further as well. Today, we are a modern service provider along the entire green coffee supply chain. 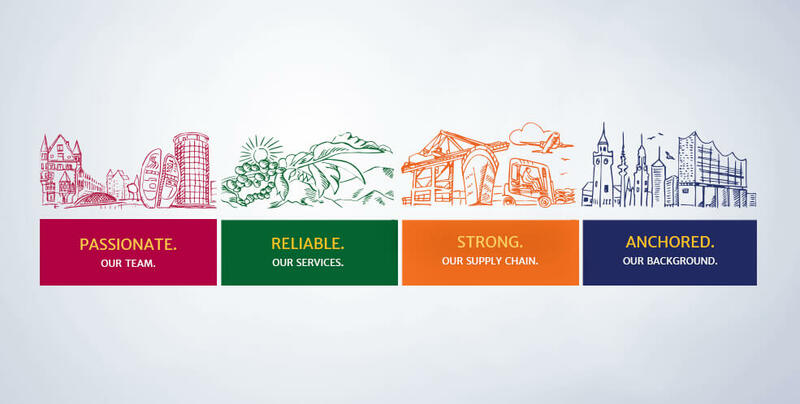 We cover all services in trade, logistics, pricing, risk management and quality. Insights. This is how we changed. 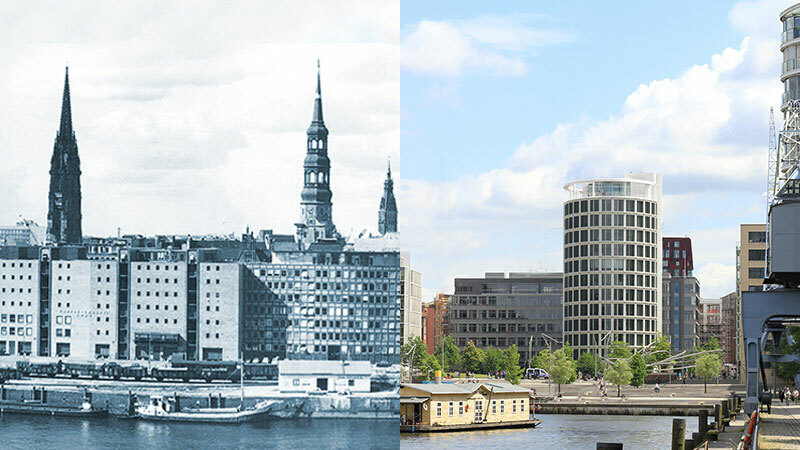 Left: Our old office building and the coffee warehouse at the Sandtorkai. Right: Our new office building on the Coffee Plaza, located in Hamburg’s Hafencity. Left: The port of Hamburg at the turn of the century. 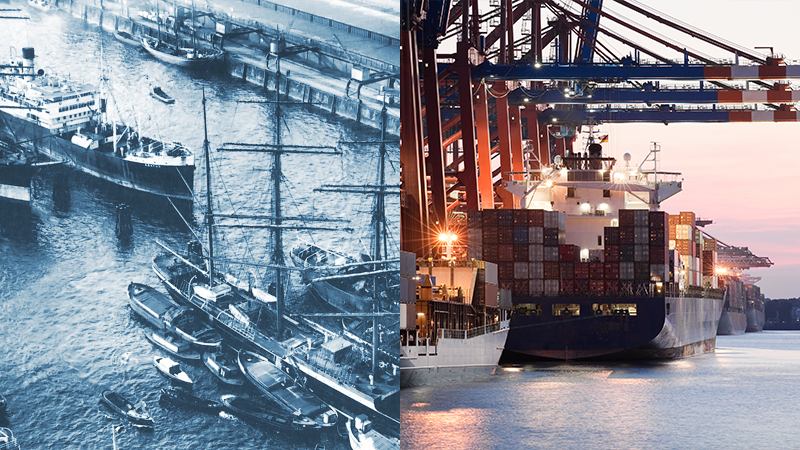 Right: The highly modernized port of today. Left: The sample room of Bernhard Rothfos during the sixties. 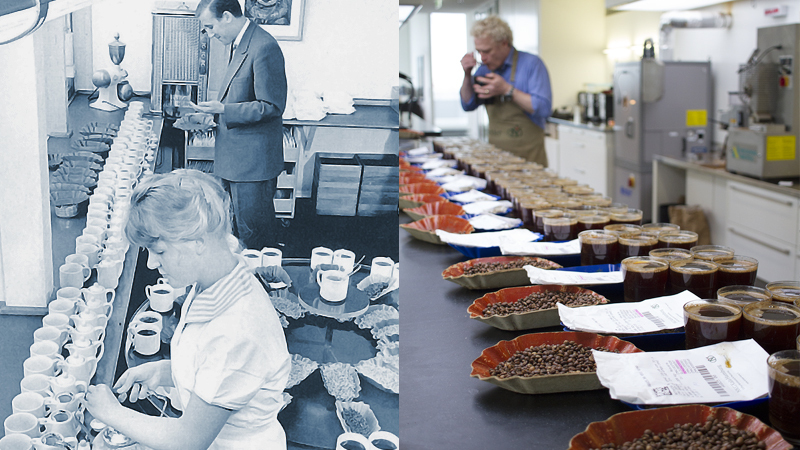 Right: Cupping in the sample room of today. 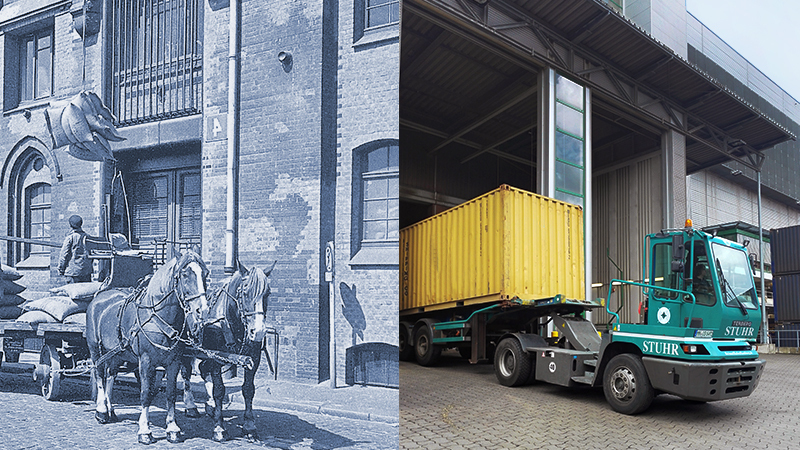 Left: : Shipping of goods on horse-drawn carriages in front of an old coffee store at the Sandtorkai. Right: Coffee is loaded from a container into NKG Kala’s highly modernized coffee silo. One thing has remained. We are still Hamburg merchants. The mission statement and the values of the Hanseatic businessman Bernhard Rothfos are still crucial for us. 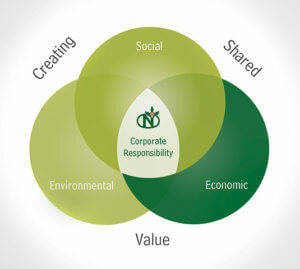 We care enormously about working on a sustainable basis and taking full responsibility towards our employees, business partners, clients as well as towards our environment. The traditional Hanseatic virtues, such as reliability, integrity, fairness and cosmopolitanism, still characterize us and our day-to-day work. We keep our word, our handshake counts. It can be said that, over the last decades, our historical roots and the values of the Hanseatic merchant had already prepared the way for what we call Corporate Social Responsibility today. Neumann Kaffee Gruppe has written these aspects down in its Code of Conduct, valid for all companies of the network. Today, at Bernhard Rothfos, we benefit from many professional, national, ethnic and cultural backgrounds. This diversity not only reflects our character, but is also essential to guarantee smooth and successful international business. 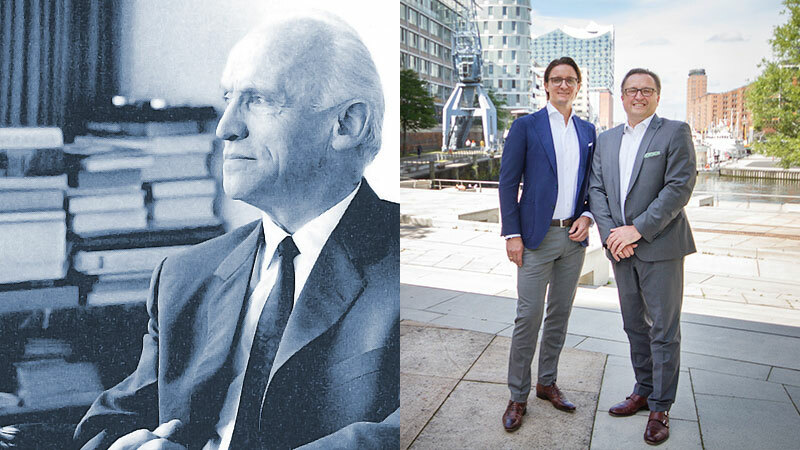 When we are talking about our work at Bernhard Rothfos, we all agree: We work together as a passionate team, offer reliable services, cooperate closely along the whole value added chain and behave like typical Hanseatic business people. Our responsibility. As part of Neumann Kaffee Gruppe.